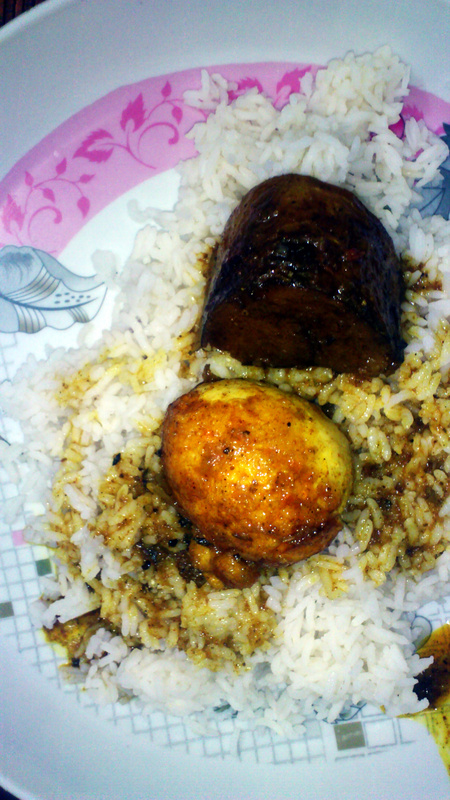 Another favourite dish for every Bengali people. I just love it. 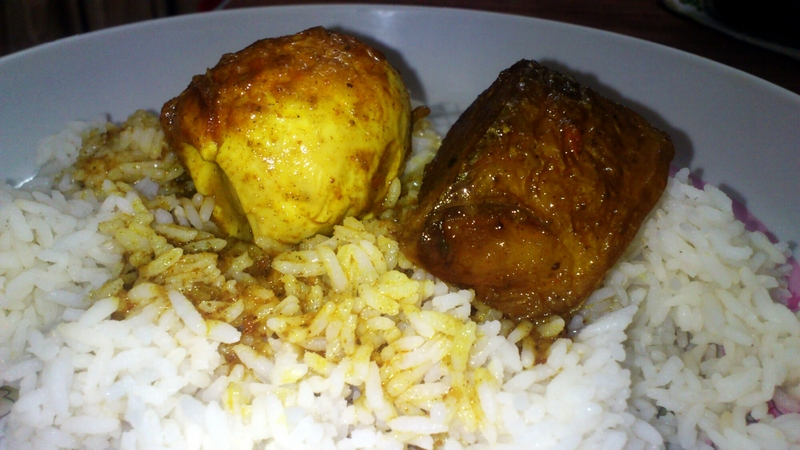 It is only boiled rice, we call it “bhaat” with a thick Egg curry that is “dim-er jhol” cooked with large pieces of potatoes. See the color of that thing? Thanks Leia. I will definitely try that.